The School of Physics and Astronomy has produced a number of resources in collaboration with science made simple, Las Cumbres Observatory (LCO), STFC and others. Here are a few which are particularly designed for use in the classroom. You can jump to Astronomy, Gravitational waves or Physics resources. Explore the lifecycle of stars in an interactive Hertzsprung-Russell diagram. Chromoscope lets you explore our Galaxy (the Milky Way) and the distant Universe in a range of wavelengths from gamma-rays to the longest radio waves. 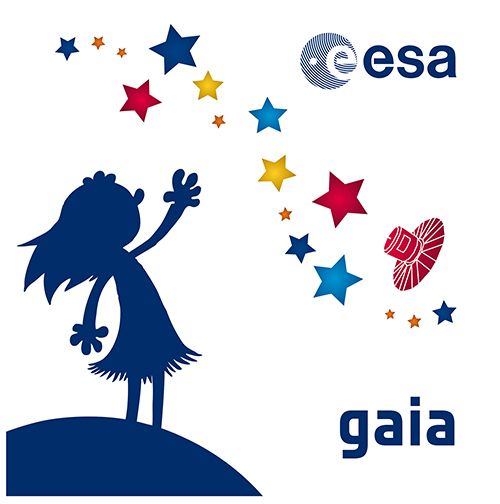 Design your own space telescope, based on a range of “mission scenarios”. You need to select the size of the mirror, the instruments, from where it will be launched, where it will orbit, and even the rocket you’ll use. The UK Space Agency is planning its next satellite mission. They’ve asked you to help design it! Your role is to design and launch a satellite that can perform a specific role related to communications, navigation or earth observation. 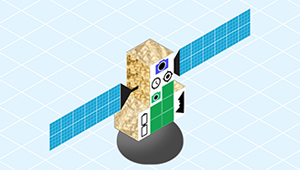 You’ll need to select the size of your satellite along with its instruments and power supply. Once it’s completed, you’ll need to design a rocket capable of launching your satellite into orbit – will you succeed? This app provides a range of difficulty levels depending on the age and/or ability of the students. Adjust the parameters of your simulated Universe and see their effects on the Cosmic Microwave Background. Can you recreate our real Universe, as measured by the Planck Satellite? What do different astronomical objects look like when seen in different parts of the electromagnetic spectrum? Match them up and explore the differences using this online activity. What do different astronomical objects look like when seen in different parts of the electromagnetic spectrum? Match them up and explore the differences using these printed resources. Find and investigate exoplanets using data from the LCO’s network of telescopes. Ranging from scales in the Universe, to how we measure the masses of stars and planets from observations, to Dark Matter and the Cosmic Microwave Background, this group of resources encompasses a large range of topics. Video podcasts detailing the reports created by alien life when Earth is attacked by Teapots from Space. Find out why we need to view stars from space and what scientists hope to discover in this interactive show created by science made simple. A series of interactive infographics exploring a wide range of space topics, from interplanetary missions to the planetary atmospheres. 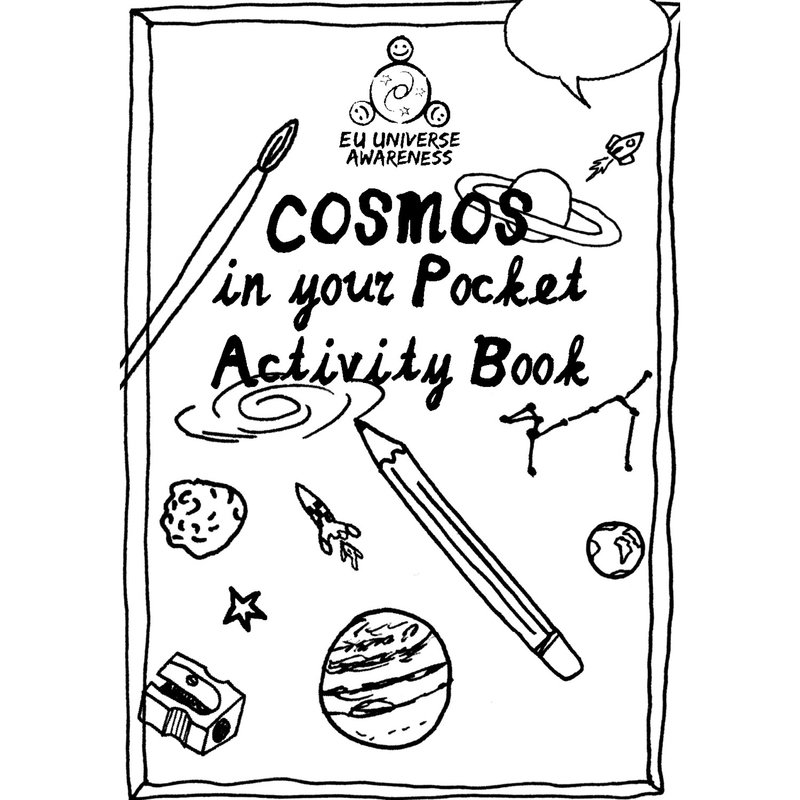 A little activity book that includes all sorts of creative, artsy activities related to our night sky; design your own constellations, write an ode to your favourite planet or draw a portrait of the Moon. Alternately, just learn some fun facts about the Universe that will impress your friends! 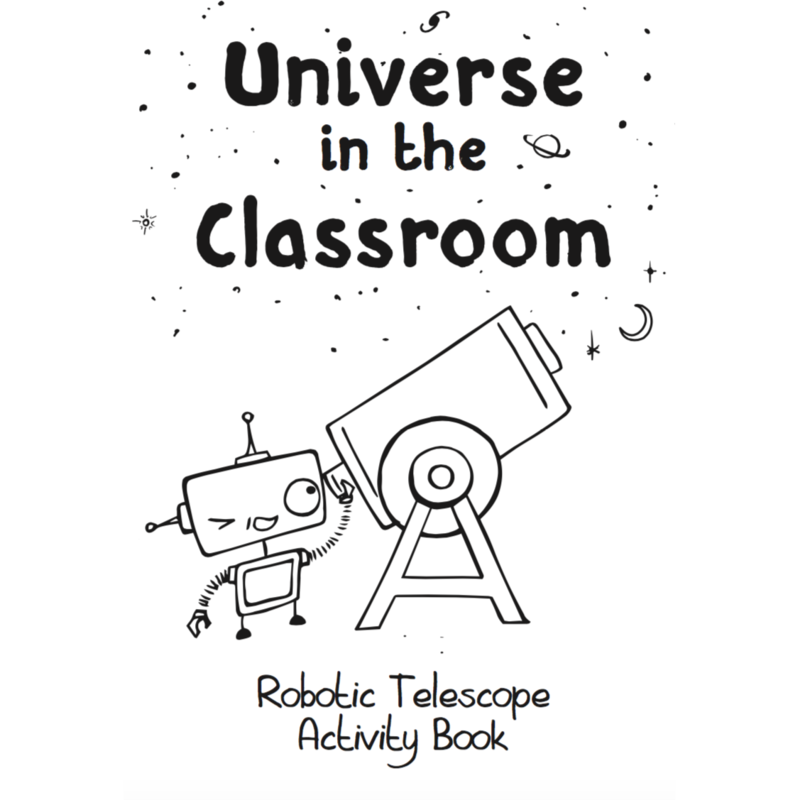 This activity book includes all range of fun astronomy activities based on the exciting topics of robotic telescopes and exotic astronomical objects. Students are invited to learn how telescopes work, design a comic that takes them on a trip to outer space and play a game of galactic spot-the-difference. 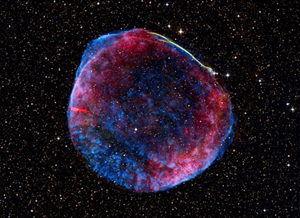 This activity involves using observations of Type Ia supernovae to calculate how quickly the Universe is expanding and how old it is using Hubble’s Law. Students are able to analyse pre-packaged data sets of can even open their own telescope account with us to perform their own observations. 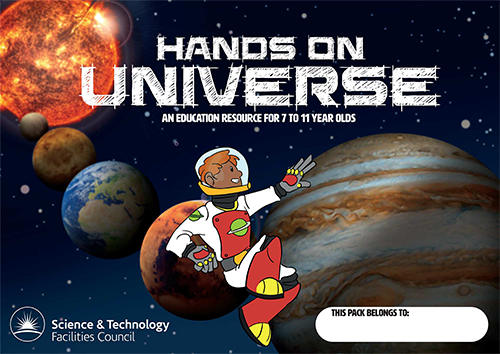 An activity booklet freely available for schools, produced by STFC in collaboration with many others. To order free booklets visit the STFC Public Engagement Publications page. 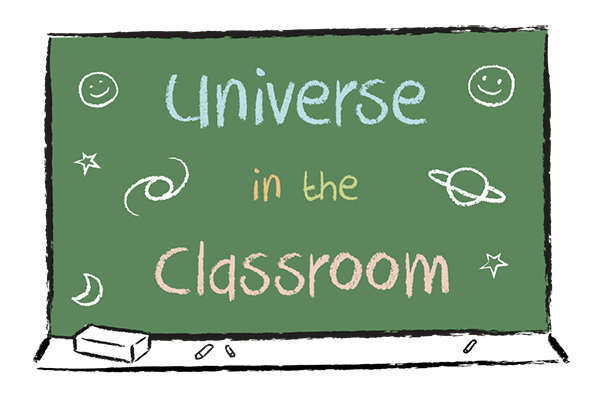 To help you inspire and educate young students with the wonders of the cosmos, Universe in the classroom offers a series of educational activities. The teacher guides include a step-by-step walk through and all necessary scientific information so that you can implement the activities without carrying out any background research. 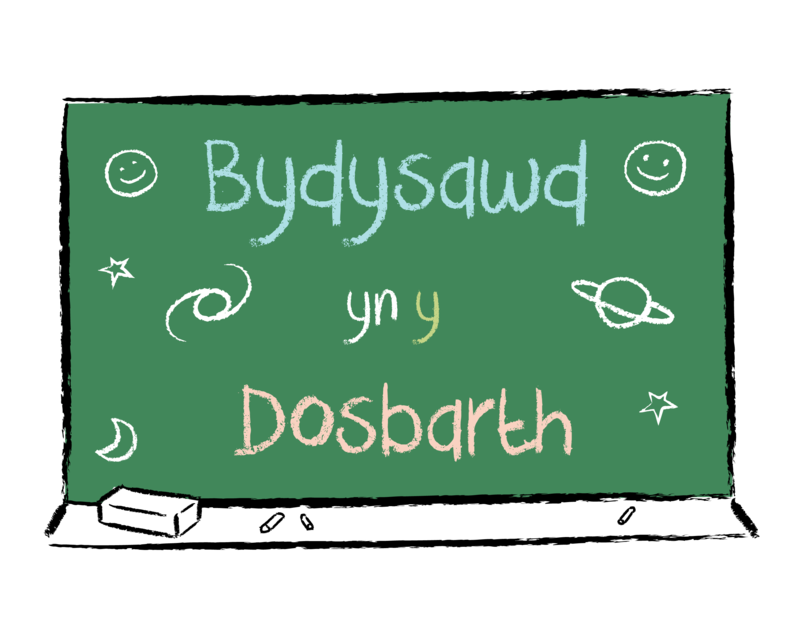 To help you inspire and educate young students with the wonders of the cosmos, Universe in the classroom offers a series of welsh language educational activities. The teacher guides include a step-by-step walk through and all necessary scientific information so that you can implement the activities without carrying out any background research. A collection of resources to help students improve their lab skills (particularly graphical analysis) via application, as well as hoping to inspire an interest in astronomy in the process. 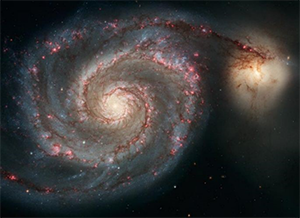 Students investigate Hubble’s Law using Type Ia supernovae data, to draw conclusions about the expanding Universe, as well as the inaccuracy of Hubble’s Law and the relationship between sample size and the accuracy of results. Can you detect a gravitational wave? In Black Hole Hunter, your objective is to listen to gravitational wave detector data and determine whether or not you can hear the given gravitational wave signal in the sound file, or whether it is just noise. LIGO is by no means the first experiment to detect black holes, with x-ray measurements suggesting their presence. This simple web-tool compares the sizes and masses of known black holes. The LIGO measurements reveal an awful lot about the black holes in the detected systems. This web-tool allows you to explore what we know in the form of an interactive graph. Based on Chromoscope, Gravoscope shows the locations on the sky that detected gravitational waves originated. 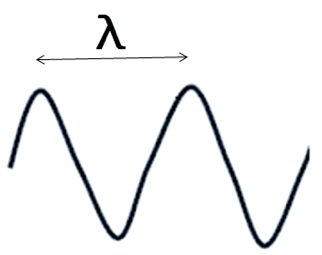 Investigate the relationship between frequency and wavelength leading to the equation c = frequency x wavelength using fun demonstrations based on sound. This comic aims to empower kids to see themselves as scientists, and the key to making that happen is to encourage them to ask questions. 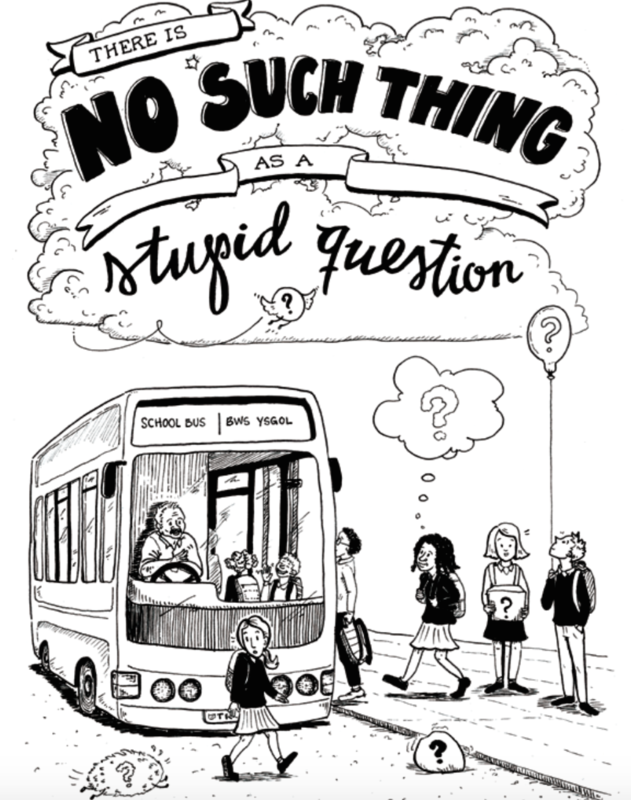 The idea behind this comic is to show children that questions which seem like they might be ‘stupid’ can lead to real scientific discoveries, and are not stupid at all!